Prints by Eric Ravilious (1903-42) don’t crop up too often, so when Sworders’ offered a collection of five lithographs from his ‘Submarines’ series at latest sale in Stansted Mountfitchet, there was understandably a good level of interest. Together they added £13,900 to the Decorative Art and Design sale's total of £193,000 on September 4. The five impressions were from a series of ten produced in a limited edition of 50 in 1940-41. 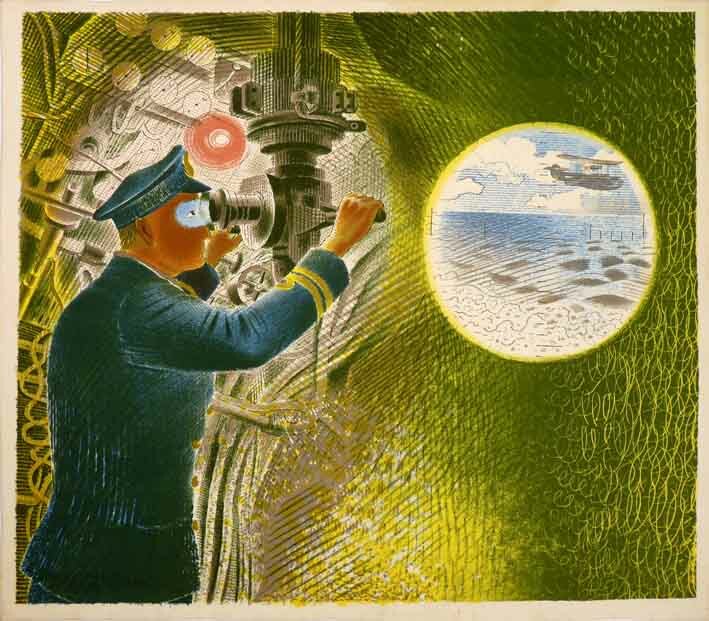 Ravilious, who was appointed an official war artist at the end of 1939, based these images on his own drawings and photographs of the submarine base at HMS Dolphin in Gosport, Hampshire and proposed to publish them as a children's colouring book. However, fears over the cost of publication led to the War Artists' Committee abandoning the project, at which point Ravilious decided to publish them himself. Supervising the printing process, he frequently readjusted the inking, with the result that colours vary across the edition, an important factor in determining their value. Printed on wove paper by W.S. Cowell of Ipswich, they each measured 11 x 12½in (28 x 32cm). 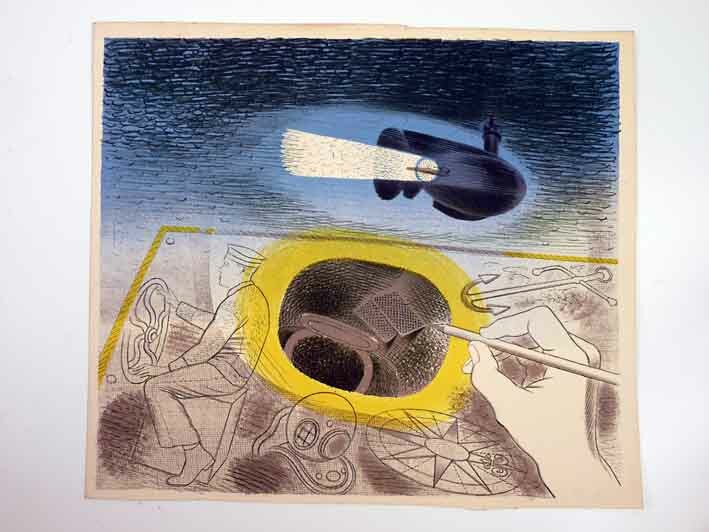 Nowadays, individual impressions emerge on the market occasionally, but two of them, entitled The Diver and Ward Room 2, are considerably rarer as it is believed that Ravilious never had time to complete the full run for these particular prints. The five at Sworders did not include these two and, as a group, they were probably not in quite as good condition as a complete set of ten sold by the Ravilious family at Christie's South Kensington in April 2007 for £84,000. Indeed, the prints at Sworders had been found pushed down the side of a bed and the north London vendors were unaware of their value. While auction records show that two prints from the series were unsold at Sotheby's in October 2008, having been estimated at £5000-7000 each, here at Sworders they were pitched at around half that level. On the day, all five found interest and got away, with four selling to the same dealer and the other knocked down to a private buyer. Four sold between £2300 and £2900, but the highest priced was Commander Looking through a Periscope, which went above its £2000-3000 estimate, selling for £3300. The buyer's premium was 20%.